When one thinks of methadone treatment, they usually consider the power of methadone to eliminate opiate withdrawal and the value this has to someone fighting off withdrawal sickness. Methadone treatment actually consists of more than just the “medication assistance” component. Real treatment always addresses the underlying lifestyle, thinking, and behavioral elements that are a significant part of the addictive process. These areas are specifically addressed through counseling. 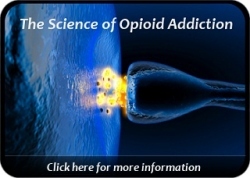 All opioid treatment programs providing methadone in the United States are required to also offer counseling to their patients in order to help them achieve true and lasting success. Some patients will need more counseling & emotional support than others. But all patients new to the recovery process will need to receive basic education on addiction as an illness, how to build a personal recovery program, and to have an opportunity to develop new coping and relapse prevention skills. Methadone clinics in the U.S. vary in the ways that they deliver counseling services. Some programs are heavy on individual counseling while some focus more on a group therapy model. Often, programs will provide a blend of the two with optional family or collateral participation available as needed. There is another important consideration with methadone treatment pertaining to the need to also treat “co-occurring disorders”. Co-occurring disorders consist of other psychiatric symptoms that merit special interventions and additional care. For example, many individuals dealing with an opioid addiction may also have struggled with chronic depression or anxiety. Unless these disorders are treated effectively, they can become stumbling blocks on the road to recovery, and can undermine a person’s sobriety success. A number of methadone programs have in-house psychiatric services to address co-occurring disorders and to provide additional medications and/or therapy if required. Opioid treatment programs that do not have psyc services will typically refer a patient out to the local mental health center or a private provider who specializes in psychiatric care. Methadone treatment has at times been presented as a harm reduction approach to dealing with severe addiction. In other words, reducing a person’s risk of overdose or exposure to other illnesses is a worthwhile goal. However, “harm reduction” alone does not represent all that recovery truly offers. There are many people who have found life long recovery through their introduction to methadone treatment. After becoming drug free, they went on to have families, start businesses, develop new careers, and enjoy a full life in the best sense. The possibilities are limitless in recovery. Addiction is treatable. Methadone can be an important piece of the recovery journey. For many thousands of patients, it was the new start that they had hoped for. Within the last year, Methadone.US wrote about the resurgence of heroin addiction in corporate America and in particular areas of the Northeast United States. However, opioid addiction is not exclusive to the Northeast and is surfacing across the entire country. This emerging epidemic has gained the attention of numerous government personnel as well as local community leaders. There are thousands of colleges and universities in America. While substance abuse on college campuses is nothing new, the growing heroin problem is. Alcohol, marijuana, and cocaine have been ever-present throughout colleges for decades, but opiates historically have been a second tier drug of abuse … until now. A recent article on DrugFree.org has highlighted efforts being made at the University of Rochester and the University of Vermont to more actively screen for opioid abuse among the students enrolled there. It is anticipated that the number of college students using heroin will rise in correlation with the general heroin epidemic which has already infiltrated the state of Vermont and other parts of the country. Vermont’s Governor Peter Shumlin is on record as having recognized that the state is experiencing a genuine crisis with heroin addiction and associated overdose deaths. According to the DrugFree article, Yale University officials have also reached out to students to share the school’s caution and concern that some students may not fully understand the danger and potency of the drugs being secretly distributed on college campuses. University representatives are trying their best to get ahead of the problem before things spiral out of control. Heroin has become the new “cheaper” substitute for those who have developed a dependency on prescription opiates but who no longer have access to them. Unfortunately, it has become a practice among many colleges to keep drug problems out of the news for fear that it will tarnish the school’s reputation. This tendency to keep things “quiet” often works against connecting addicted people with the professional help that they may need. Every college should be working hand-in-hand with local addiction treatment organizations and professional addiction counseling centers since most colleges and universities are not sufficiently staffed to deal directly and effectively with complex addiction treatment issues. Credit should be given to those schools that are being proactive in their desire to educate students before tragedy strikes. One of the chief hurdles clients face in considering methadone treatment is how convenient it will be to get to the methadone clinic for daily dosing. Metropolitan areas traditionally have a timely bus system and access to taxis, but those in rural areas can often find themselves stuck in the country with no way to get to the clinic. Family members and close friends often become part of the equation providing a daily ride until a client can earn methadone take home privileges. Some clients have their own car, but the cost of gas can be a detrimental factor. Clients with children and limited income, or with a verifiable disability, may be eligible for Medicaid transportation. Any person can apply for Medicaid benefits through their county Department of Social Services. Attending a clinic session to dose with methadone is a “medical appointment” and generally covered under approved Medicaid services. At our clinic in North Carolina, a number of clients are brought each day to the clinic by Medicaid transportation in order to participate in their treatment. 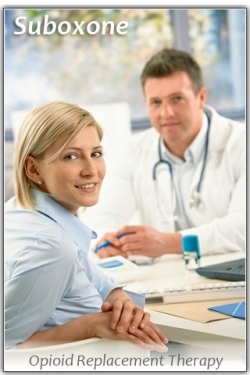 Another factor to consider in utilizing a methadone clinic is the clinic’s designated dosing time. Some clinics provide a wide window of time in which you can arrive to be dosed. Other smaller clinics may have more restricted hours of operation. Consequently, a person may have to observe time carefully to make sure they arrive before closing time in order to dose. Many clinics will accommodate a late client if that client has a legitimate reason for arriving late and calls ahead before closing time to inform the clinic nurse of their dilemma. However, it is always best to consult first with clinic staff to learn of their policy on arriving late and late dosing. Interested in more information on methadone? Try our Q & A methadone information page!